-In a small town in Quebec in the 1960s, a newborn boy is put up for adoption. As he grows up, he goes through a series of foster homes until he is finally taken in for good by a loving family. When a debilitating sickness spreads across a long hotel hallway, a few scattered victims fight for survival, and try to escape from the dark narrow stretch of isolated carnage. À l'intersection des rues St-Denis/Maisonneuve à Montréal (Canada), un nid de poule s'est dangereusement agrandi. 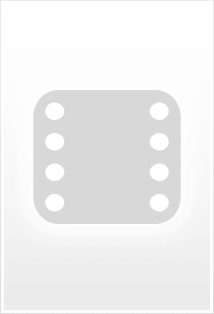 Depuis, une étrange énergie circule, transformant l'atmosphère et les gens, créant un véritable chaos dans la métropole. Des citoyens deviennent fous, d'autres se transforment physiquement en créatures, la nature s'en prend aux humains. 18 (!) directors thought THIS was a good idea? I was always very fond of horror anthologies, but that was back in the days when they were limited to only 3-4 segments and filmed by only 1-3 competent directors. Since a couple years, however, we are witnessing the rather annoying trend that horror anthologies are becoming large assortments of mini-tales (barely a few minutes) that are directed by young and often very inexperienced and untalented people. Some examples here are "The ABC's of Death", "V/H/S", "The Profane Exhibit", and unfortunately you can also add "Montreal Dead End" to this list. I say 'unfortunately' because I have a lot of sympathy for Canadian horror cinema and I really wanted to like this. Also, I was attending the world-premiere of "Montreal Dead End" at the Brussels International Fantastic Film Festival and I always feel somewhat guilt-ridden if I must be the first person to write negative comments about a film. 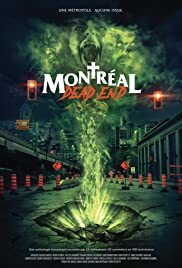 But I can't lie about it, "Montréal Dead End" regrettably was a sore disappointment and I often found myself rolling my eyes in the cinema or felt a surrogate sense of embarrassment during most of the little segments. 18 Canadian-born directors, most of them completely unknown, put together 15 short tales that each take place in a different district of Montreal. There's a very thin red line connecting all the tales, namely that the strange events are occurring ever since fiendish green smoke inexplicably emerged out of a hole in the asphalt. None of the stories are truly good or even memorable. A handful of segments are tolerable, like the one with the female jogger in the park (obviously a homage to "The Evil Dead") or the one with the young couple meandering through the streets unaware of the recent zombie outbreak, but most them are just downright dumb, infantile and boring. I found the story with the murderous vegetables the absolute low point, but admittedly I already can't remember many of the others. Rémi Fréchette, one of the directors and present at BIFFF, explained how each filmmaker collected approximately $200 for his/her segment. The lack of budget clearly shows as well, through pitiable special effects, poor editing and amateurish acting performances.